Woohoo I’ve finished my drawing and painting course and have passed with a distinction! The last modules were all about figure drawing and portraiture. 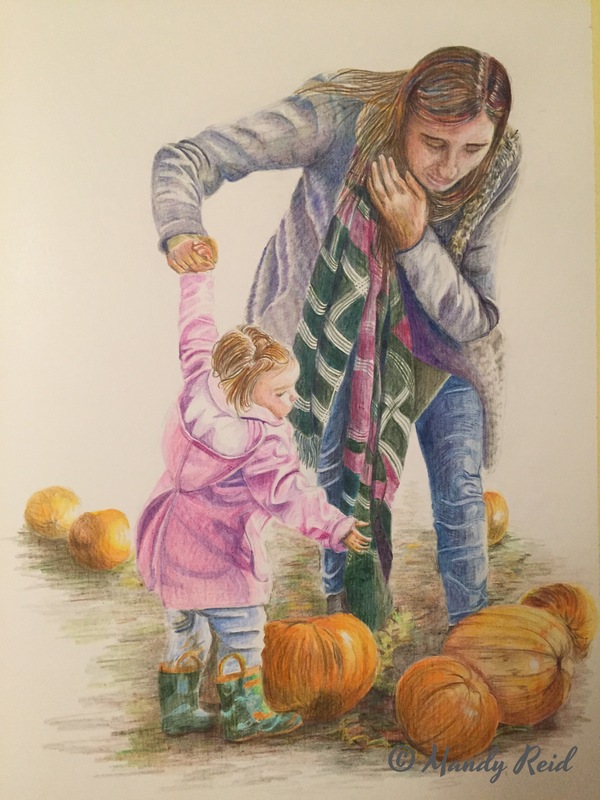 I loved working on this drawing using coloured pencils. In fact I enjoyed the pencils so much I used them again for my final course piece; a self portrait. It’s not the most flattering of portraits and in fact my family have commented on the seriousness of my expression but this is my face as I often see it in the mirror and it looks like I’m concentrating. The previous module to this one had me working on using oil paint to complete a couple of paintings. 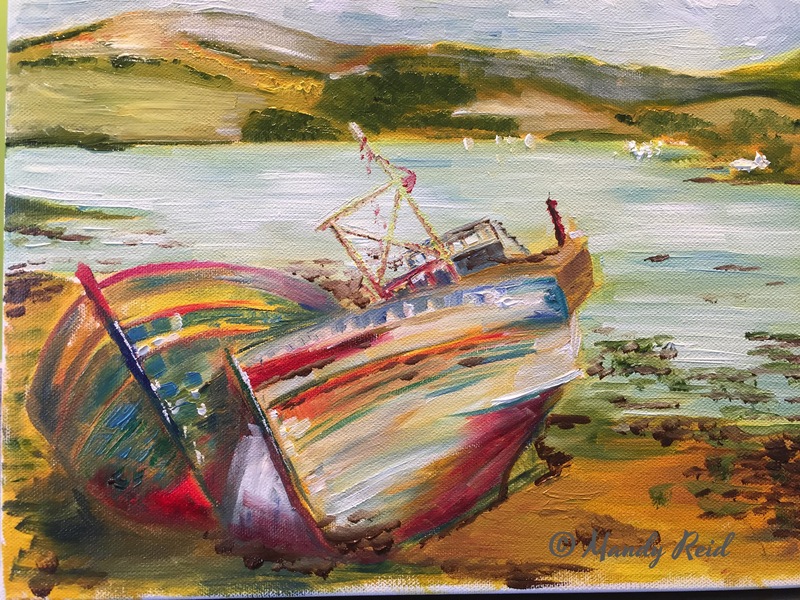 My favourite is this one of boats on Mull which I’ve worked up from a photo I took through the car window when we visited Mull last year. Tobermory is a lovely place and I’d happily spend more time on this lovely island. 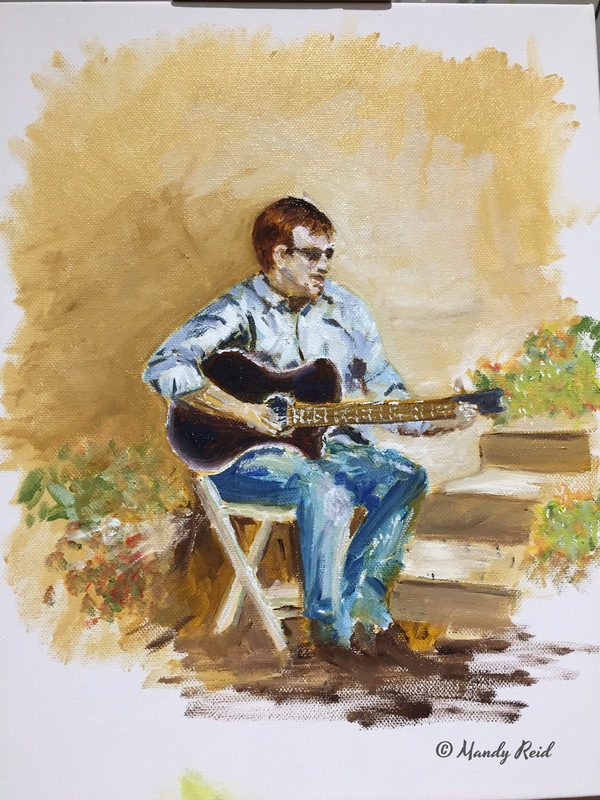 I also painted a picture of my husband playing a guitar in France.